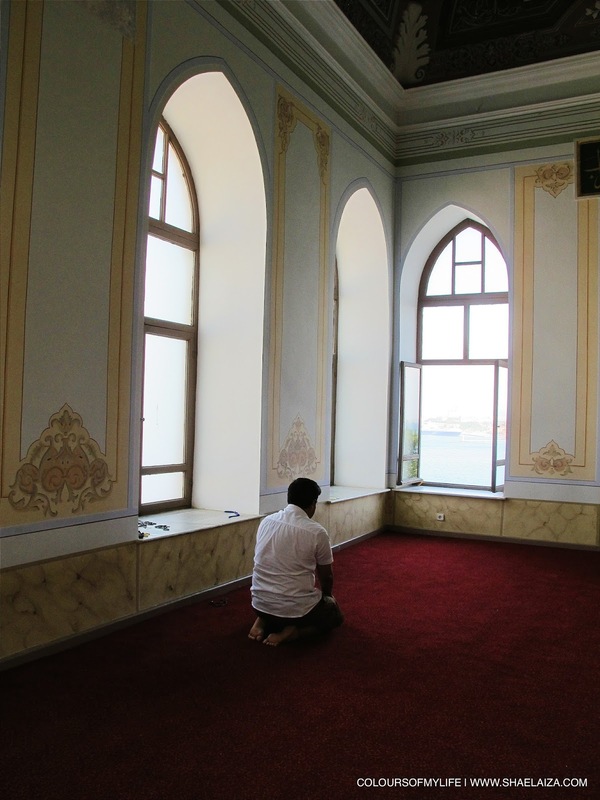 A man peacefully performing his prayer, an act of humility, at the Topkapi Palace mussolah overlooking the Marmara Sea, Istanbul. Those who learned to be truly human found everything in being humble. While those who looked proudly from above were pushed down the stairs. A heart that must always feel superior will one day lose its way. What should be within, leaks out. The old man with the white beard never sees the state he’s in. if he’s broken someone’s heart. The heart is the seat of God, where God is aware. You won’t find happiness in either world, if you break a heart. the blind man mistakes the day for night. Yet the universe is filled with light. We’ve seen how those who came later move on. Whatever you think of yourself, think the same of others. This is the meaning of the Four Books, if they have one. nor get on his high horse. if what he loves is the face of God. Birth. Life. Death. The signs point towards the reality that we are all on a journey. However, some of us are more aware of it than others. Our journey doesn't end with death but with our destination in the everlasting Hereafter. In this journey, if we do not ask for 'directions' (seek guidance) we will surely lose our way or wander aimlessly, which leads us to feel a void or emptiness within us. The desire to fill this emptiness may lead to destructive behaviour. This explains why the world is in the state it is in right now. But the path to peace is real and it begins with humility. "... a condition of the transparent self. Humility is not necessarily considering ourselves less important or valuable than other people. It is not a lack of self-esteem; not is it a for of modest behaviour, and it is not the result of humiliation. Humility is the right attitude of the finite to the Infinite, the conditioned to the Unconditioned, the part of the Whole. Humility is our awareness of our dependence on something greater than ourselves, and our interdependence with our fellow human beings and all of life." How beautiful! To be humble is to be attached to the Creator without disregarding the creation. I hope this explanation sparks a kind of paradigm shift in us because I believe everyone is seeking to have peace in their hearts, whether they know it or not. May we have peace and humility in the world and most importantly, in ourselves. Have a blessed Friday, or as the Turkish say it, hayırlı cumalar! "to be humble is to be attached to the Creator without disregarding the creation."